Example of a potential candidate, via IMDB. There’s something special about the men of YA fantasy. They’re charming, well-intentioned, earnest, and usually attractive. They’re also often good with a sword, frequently able to do magic, and almost always prone to heroic acts. Their appeal is further enhanced by the nature of the genre. In YA fantasy, a novel or series usually ends with a romantic milestone – first kiss, reconciliation, declaration of love, engagement. The romance is preserved in its moment of absolute perfection, when everyone is happy and the future is full of promise. This it makes it very difficult to see the beaux of these books as anything short of ideal. Whatever the reason, there ain’t no man like a YA fantasy man. 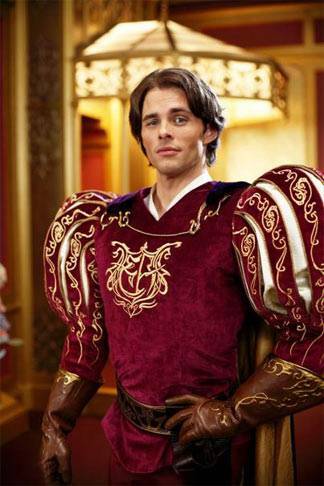 But with so many fictional Prince Charmings out there, how is a lady (or gentleman) to pick just one? I jest – since they’re not real, you can choose as many as you want, in sequence or simultaneously. But it can be helpful to keep track of your favorites all the same. Articulate, smart, thoughtful, useful in fights against giants, fond of sliding down banisters. Cavalier with fine clothing, especially when it comes to buttons. Entertaining. Considerate towards house elves in siege situations. Likes smart women. Family history of extreme fertility (more of a consideration than a con). Supernaturally attractive. Considerate towards those he loves. Good at his job when he applies himself. Seriously unusual family. Violent tendencies. Prone to stringing along other women for personal gain. Is also very mysterious and possibly destined to kill you. Adorable. Has a super cool magic sword. Slightly bumbling – needs a strong woman. Possibly not a con. Physically fit, good with weapons, possesses moral fiber. Makes some effort to prevent teenagers from killing each other. Dark hair and blue eyes. Good with weapons. Sarcastic, daring, strong, and loyal. Loves to read books. Writes occasional poetry. Tragic hero/ high school student. Eternally 17. Undead. Prone to stalker-like behavior. Devastatingly handsome and powerful. Good with a sword. Somewhat moody. Very unappealing rebellious phase during Woman Who Rides Like a Man. Makes delicious baked goods. Also strong, sweet, and brave. Sarcastic, creative, ambitious. Rich. Makes a cute ferret. Somewhat evil. Treats people like minions. Endearingly nerdy and considerate, with a gift for retelling epic science fiction trilogies as bedtime stories. Self-effacing, honest, loyal, brave. Open minded. Has a silly name. Doesn’t take well to being lied to. Sweet, loyal, and brave. Good with plants. Is worth 12 of Malfoy. Somewhat clumsy and forgetful. Is a bit of a late bloomer, but boy does he bloom. I think that’s a decent buffet of options. Who are your top choices? Did I leave off anyone who you feel strongly about?